Since receiving the Shiseido Nourishing Mascara Base back in August, it has quickly become a staple in my daily makeup routine. Aside from helping to add length and volume, it truly excels in helping to keep my lashes curled and lifted throughout the day. 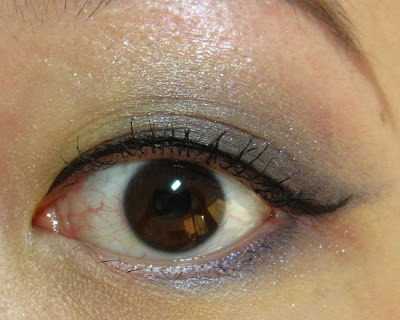 Like many Asians, my lashes are very sparse and point straight downwards if I do not curl them. Unlike Majolica Majorca Lash Bone Black Fibre In and Urban Decay Eyelash Primer Potion, the Shiseido Nourishing Mascara Base does not contain any fibres. It has a clear base that is not too watery or glue-like. I much prefer mascara primers that apply clear instead of white (like the Urban Decay one) which looks very unnatural and require more work to cover up. At S$41 for 8g, it is pricey but as it works well, I think it is a worthwhile investment. The consistency is similar to applying an eyelash essence. After using it several times, I've found that it's best to apply the mascara immediately after applying the Nourishing Mascara Base, i.e. before the base dries. If you wait for the mascara base to dry, the lashes feel dry when applying the mascara and so the mascara does not go on as smoothly. When using the mascara base, it does take a bit more time to remove my mascara at the end of the day. I use a cotton pad doused with Cleansing Express Eye Makeup Remover and gently clean off the mascara starting from underneath my lashes in an upward motion. 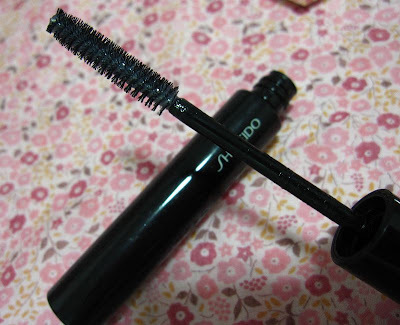 Although I also received the Shiseido Perfect Mascara Defining Volume at the same time, I did not like it because even when used on its own without the base, the Perfect Mascara tended to deposit too much product on my lashes and resulted in clumping after just two sweeps through my lashes. This sample tube of the mascara base came without a box so I do not have the ingredients list. The Nourishing Mascara Base works very well with other brands of mascara that I currently have in rotation, such as the Clinique High Impact and Lancome Virtuose Precious Cells. The only exception was Fasio Mascaliner where the tips of my lashes ended up pointing downwards, but I think that was the fault of the Mascaliner. 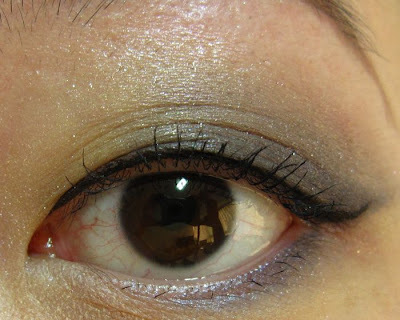 In these pics, I used it with Visee Lash Wide Impact (Curl Long) BK002 Blue Black from the Mercury Duo collection. The Visee mascara is a fibre-based waterproof mascara with an interesting comb applicator that has "teeth" all around the edges. The teeth at the tip are particularly useful for reaching the lashes at the inner corners of the eyes. The BK002 is a limited edition shade that is no longer available but the mascara is still available as part of the regular range in BK001 and BR300. the one in your pic is a bit different and more expensive. This is not the same mascara. 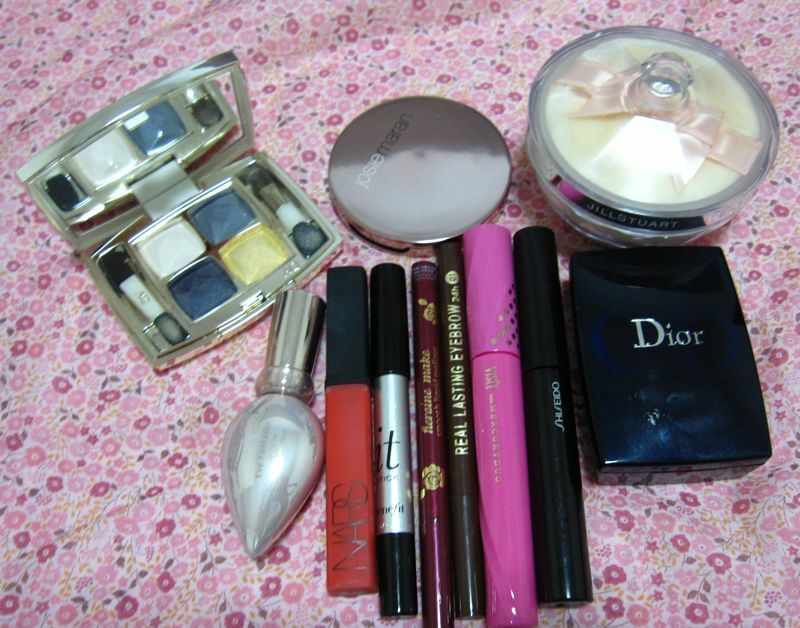 The one in your pic is from the Shiseido The Makeup line. The tube packaging is also different. 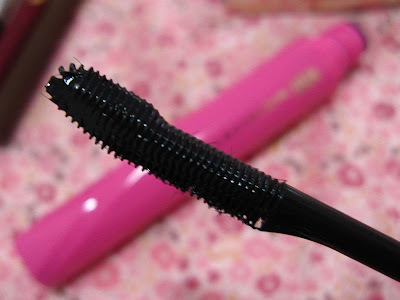 The Shiseido Nourishing Mascara Base is a relatively new product that was only released a couple of months ago. Ok thanks. for a moment i thought they discontinued the mascara base from Shiseido The Makeup line. I think they have discontinued the mascara base from the Shiseido The Makeup line as it is no longer listed on either the Shiseido Japan or US website. The only mascara base listed is the Nourishing Mascara Base. You can check with the Shiseido counters to confirm. it is still on the singapore website though. argh. must check tomorrow >.< thanks for the heads up. I've tried a sample tube of Anna Sui's mascara primer before but it was too long ago so I can't really remember much about it.